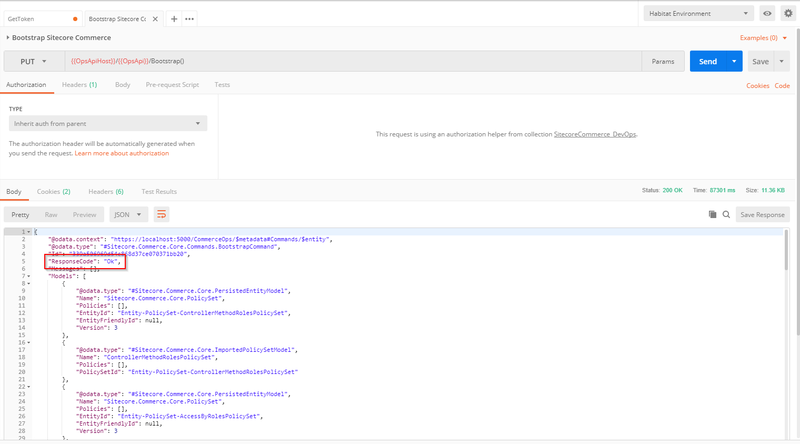 When you are starting or already doing development with Sitecore Experience Commerce 9 (SXC 9), it is crucial to also leverage capabilities of Postman and collections that were well prepared by SXC dev team. They will not only help you with initializing and bootstrapping environments but you will have access to and you will be knowledgeable of all API requests that SXC roles can provide to you. I have already written some blog posts on how to work with and set up Postman but they were more reactions to problems that I have encountered during preparation of dev environment. 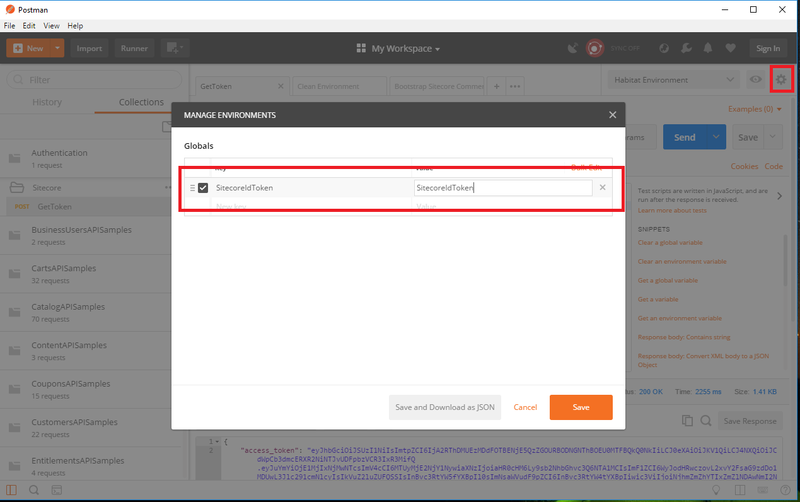 You can find in them instructions on how to authorize requests in Postman and how to import collections from Commerce SDK into Postman. 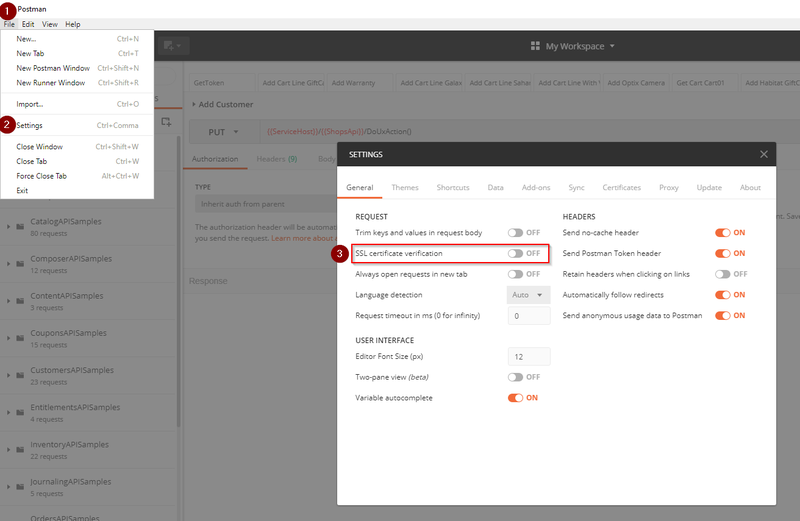 In this blog post I will combine these blog posts with some additional insights and settings that should get you up to speed with working with Postman and Sitecore Commerce 9. If you haven’t installed Postman so far, now it is the best time. Use this link to download it and install it afterwards. Let’s get started with more interesting things then! This is the only setting that needs to be done outside Postman. By default it is set to “true” to preventing Cross-Site Request Forgery (CSRF) attacks. This setting needs to be disabled in your dev environment. You disable it by setting its value to “false”. Do not forget to leave it on “true” on all production environments! You need to follow all remaining steps in this guide and especially step 6 with bootstrapping Sitecore Commerce as settings from this step are applied only after bootstrapping environment. Pro Tip: Use Notepad++ and it’s JSToolNPP plugin to format config.json. By default SSL certification verification is enabled in Postman. 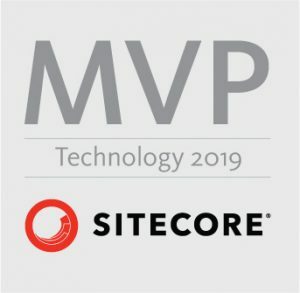 You need to disable it to be able to execute calls toward Sitecore Commerce Engine as you are probably using self-signed certificates which are not supported in this case. 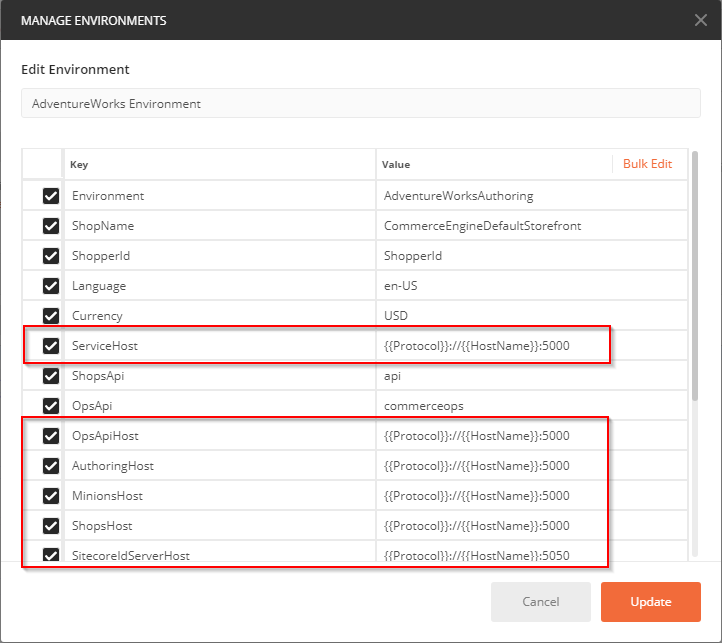 To debug or try out some requests towards Sitecore Experience Commerce (SXC) and it’s API, you use Postman. For me it was the latest and greatest SXC 9 Update 2 for which installation package can be found here. 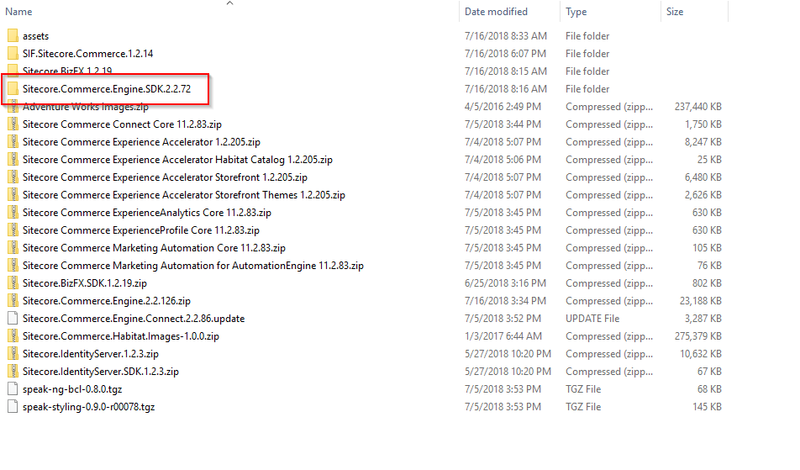 When download finishes, unpack downloaded zip file and extract “Sitecore.Commerce.Engine.SDK.2.2.72.zip” from installation package to separate folder. 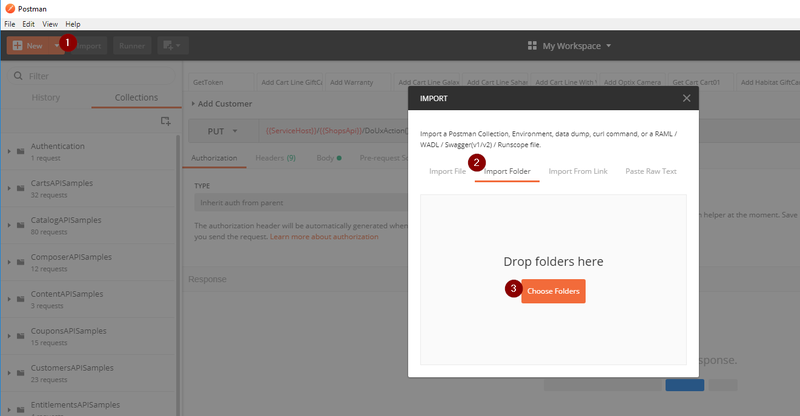 In Postman click “Import” button on the top, then “Import Folder” tab and “Choose Folders” button. 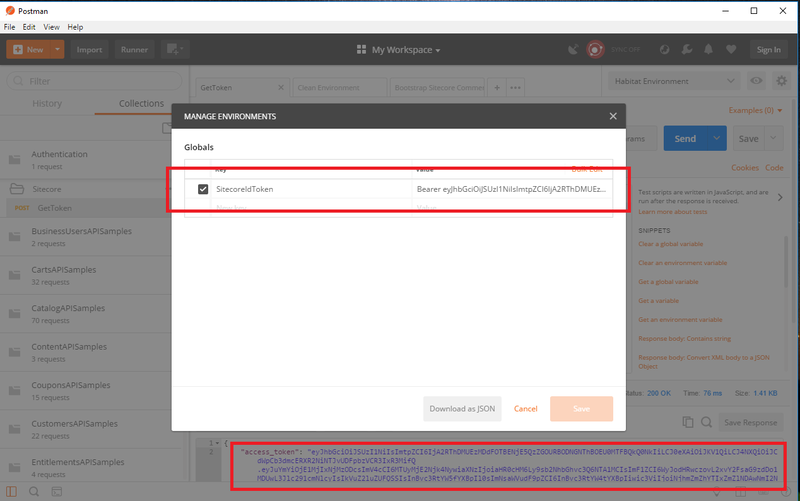 You always need to do this step whenever you start a new session in Postman or come back to Postman after a while as security token is invalidated after certain period of time. Switch to “Collections” pane and open “Authentication” collection. 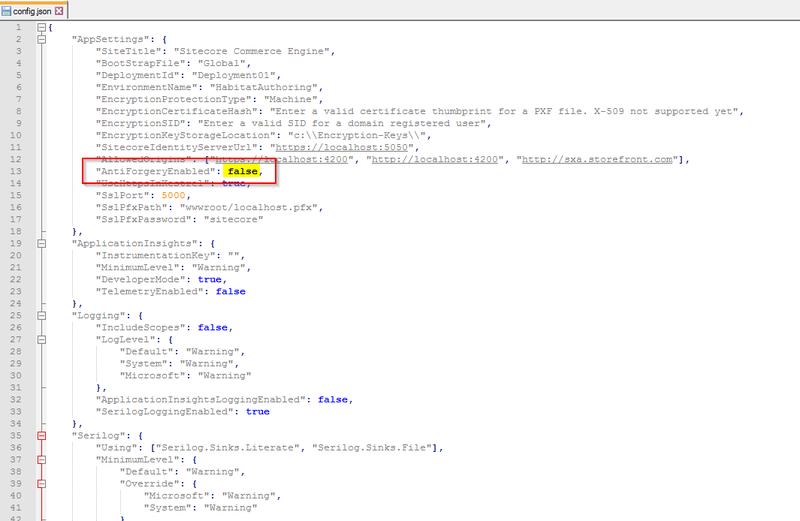 Expand “Sitecore” section and click “GetToken”. Switch to “Tests” tab in the command and click on blue “Send” button to get authorization token and save it as global variable “SitecoreIdToken”. 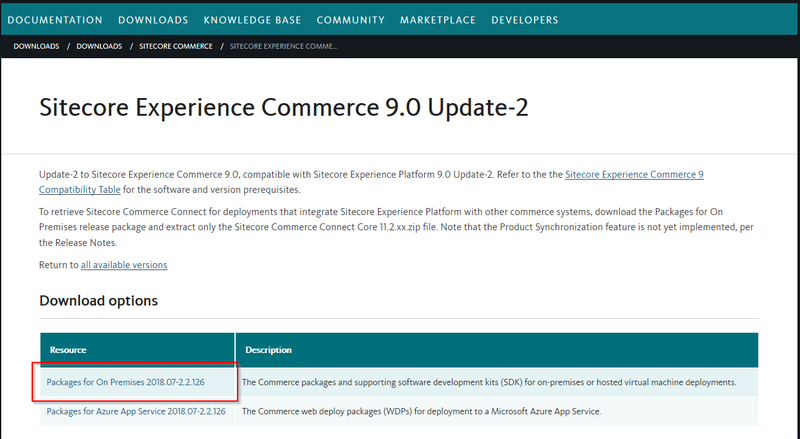 If you have installed SXC 9 Initial Release (or any other Update) on your dev environment with default settings for ports and your Commerce sites are listening on localhost, you don’t have to do any further settings. 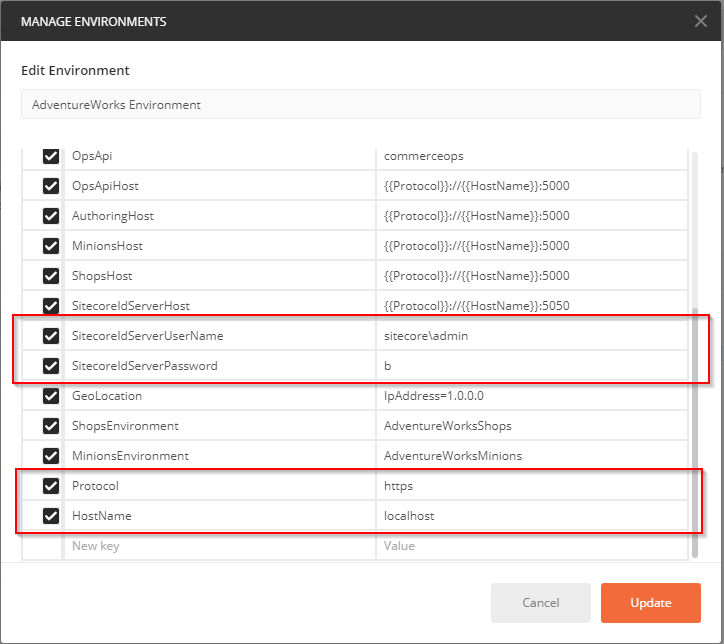 If this is not true and you are on Azure or have different setup, you need to change the settings for each environment in Postman. 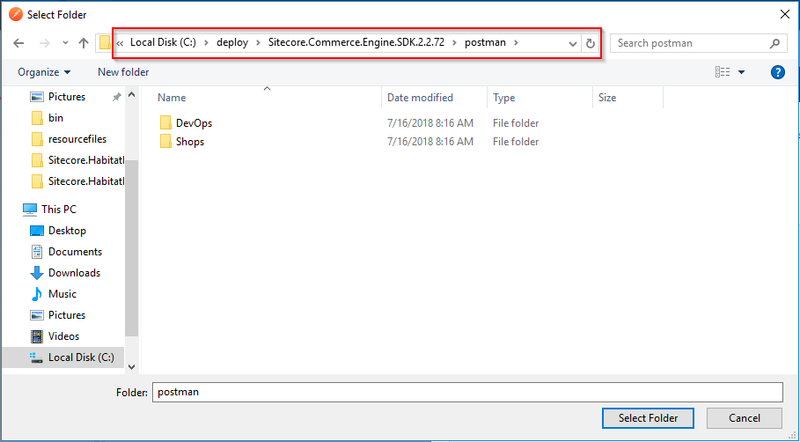 Once you have done all other steps in this guide you are prepared to bootstrap Sitecore Commerce to apply all new settings. 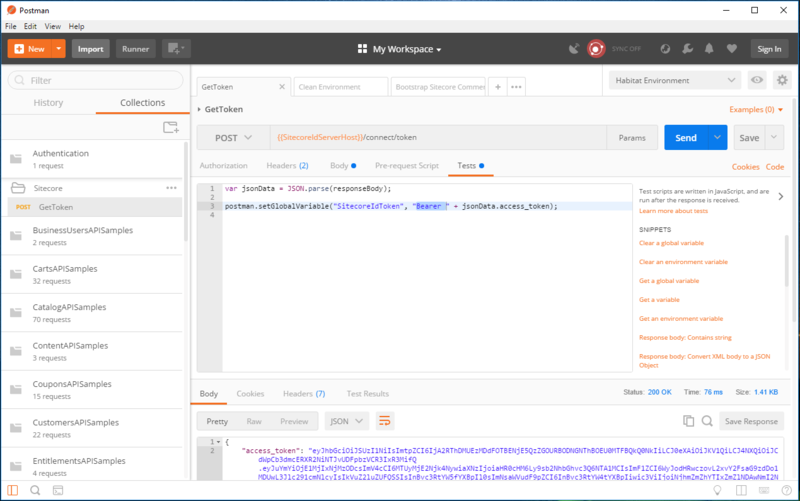 Postman is really great application to help all Sitecore Commerce developers not only to set up environments but debug possible issues. Now it is the right time for you to explore other collections also and their possibilities. I love videos over reading. Thanks for that.